On Friday morning, May 27, the younger boy’s teachers at The Albany Avenue School (P.S. 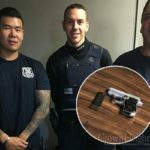 91) in Crown Heights, which is located across the street from Lefferts Park, found the loaded handgun in his possession, prompting an emergency police response. “The children were in the schoolyard enjoying the nice day when the teachers asked the children to sit on their book bags, but one of them refused. He was acting strange, and they questioned him and opened the book bag,” reported CBS News. Police detained and questioned the older boy at the 71st Precinct, then arrested him and charged him with criminal possession of a weapon. At which Yeshiva was this ? 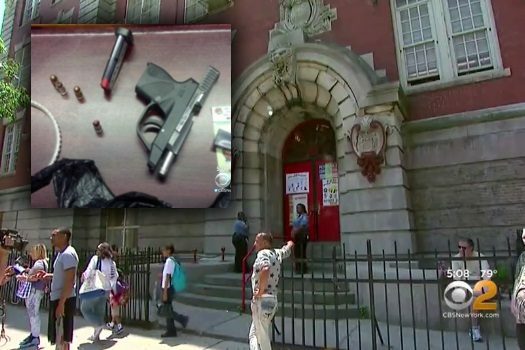 If you read the article, you will see that it happened at ‘The Albany Avenue School (P.S. 91) in Crown Heights, which is located across the street from Lefferts Park’.